No matter what the internet and the whole lot of vloggers try to make you believe, dropshipping and; to an extent, online arbitrage is everything but easy. It is just that electronic commerce presents more advantages to dropshippers than it does to traditional sellers. To contemplate this statement further, let’s take a look at what separates a traditional seller from a dropshipper in eCommerce sphere. The most pronounced point of differentiation is this that dropshippers don’t have to maintain an inventory or spend in a warehouse. Rather, dropshippers just list products on their online store without actually buying them. They add their profit over the marked price and upon order, ship products from the original seller to the customer, directly. While dropshipping reduces risk and overheads of maintaining your own inventory, it adds unnecessary complications to the traditional ecommerce model, which only multiplies as you start to list more products on your store. That is where dropshipping automation software comes in. By automating the most tedious parts of dropshipping, it mitigates many complicacies and raises the operation efficiency of a dropshipping business. The problem is dropshippers realize the value of a dropshipping automation tool only after they start to lose money. Those address these problems at an early stage with the help of a dropshipping automation tool tend to thrive in the business. Nevertheless, there are many reason every dropshipper should have such a tool to automate their dropshipping operations. With the software, you can connect to as many sellers as you need. Once connected, you can synchronize product data from the seller’s stores or their page in a marketplace and define an interval when you want the sync to update. There you can price the products and list them to any number of sales channels you want with the same details as the original product listing. That is, you can now list those exciting pair of high heels you found on Walmart on eBay, Amazon and Etsy at the same time with help of inventory automation software. The software will keep pushing amount of stock left at Walmart to control allowable buying limit on your product listing on any of the channels. You don’t have to manually set the amount of stock available as software takes care of it. 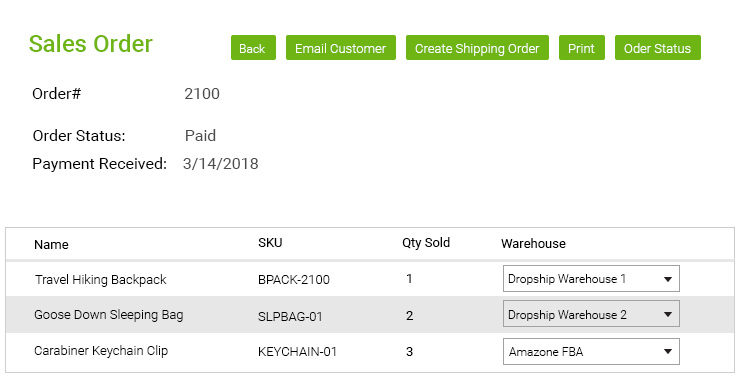 The SKU unit in the dropshipping automation tool tracks products assigned with different product identifiers from different suppliers as one product. 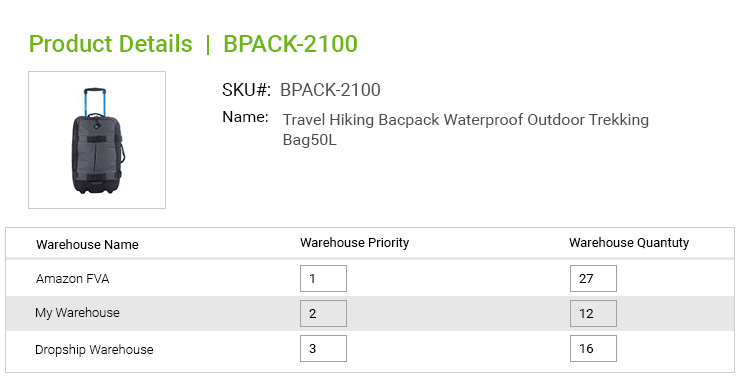 That is, if it finds that product in more places with same or different SKUs, it takes those listings in account too while pricing the product or when checking amount of stock left. Since the automation software identifies and lists single product from various sellers, it gets confusing when somebody orders it. Fortunately, integrated dropship order automation tool has smart algorithm to auto-route the order to the most viable supplier in terms of profit margins and speed of delivery. In the event a seller is out of stock on a product you’re dropshipping, the algorithm routes the order request to the next seller on the priority list. Even when you receive orders with products from more than one sellers, the ordering tool will divide the order and direct it to the correct seller for fulfillment. Once the products are shipped and the seller shares the tracking and shipment details, the tool will push the details to the buyer so that he or she can track it. Dropshipping automation software must ensure that the listings on the integrated channel must remain in sync with those on the original seller’s store or they will lose money or credibility. Therefore, they need to exchange a lot of data to keep the sync in order. Dropshipping software employs feed management system which employs SFTP/FTP to keep in sync with the sellers inventory, pricing, etc. You can also manually download the inventory details from the HTTP location in CSV or TXT format. The feed management system sends sand receives order data via SFTP/FTP and emails with CSV attachment. A dropshipper has to create a number of buyers and sellers account on various eCommerce websites, which means he has to visit each of the website and create account there. This is going to take a lot of time. A dropshipping automation tool has integration with the most of the eCommerce channels and the dropshipper can create an account on those in minutes rather than days. That is the dropshipper can integrate the software with his buyer and seller account on the ecommerce channels of his choice. While eBay, Amazon and Walmart integration goes without saying, many dropshipping automation tools now offer integrations with AliExpress out of the box. In case the ecommerce integration is not available to the ecommerce channel of your choice, you can still integrate it provided it offers public APIs to access your account from a third party software like your dropshipping automation software. If you’re looking for similar software to automate your dropshipping operations, then eSellerHub is a leading software development firm that develops solution to automate dropshipping, online retailing and online arbitrage business. eSellerHub is the reason of happiness for more than hundred happy dropshippers and online sellers. With high emphasis on quality and a vast experience in ecommerce software development; you can expect us to develop custom software to meet with your choice of ecommerce business. 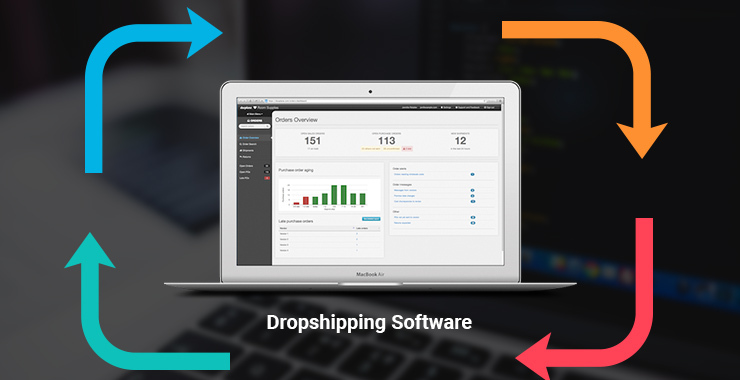 Dropshippers around the world trust eSellerHub for developing dropshipping software solutions with multichannel integration, up-to-date stock level, multiple suppliers, SKU Mapping, shipments tracking, and ecommerce API.